A picture perfect storybook setting can be found in Courchevel, France at the fabulous Aman Le Mélézin, book your travel across WhataHotel! and receive Exclusive Complimentary Perks for an amazing deal. Situated in the heart of the Trois Vallées region, this Aman resort was opened in 1992 and has since presented tourists with the classic traditions expected of the finest French Chateaux. Aman Resorts focuses on providing guests with an intimate experience and a contemporary lifestyle for an exquisite stay. If you are dying to hit the slopes in France this ski season look no further than Aman Le Mélézin, an intimate alpine retreat in the iconic French Alps. Aman Le Mélézin stands tall, boasting a distinctive black slate roof and surrounded by well groomed slopes and a majestic conifer forest. This historic hotel dates back to 1856 when the village of Courchevel was just a small and quaint locale. Today it happens to be one of the Best Hotels in Courchevel by presenting visitors with a fashionable resort setting not to be missed. 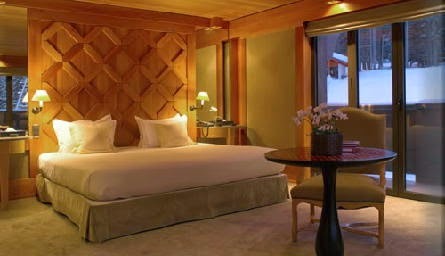 Guests will enjoy the 31 rooms and suites that provide both comfort and elegance not to mention spectacular views of the slopes. 200 year old oak beams and the classically patterned parquet floors and paneling create warmth in the Lobby and Bar while bronze sculptures of wild birds found on the ground floor add a rural French feel to the resort. 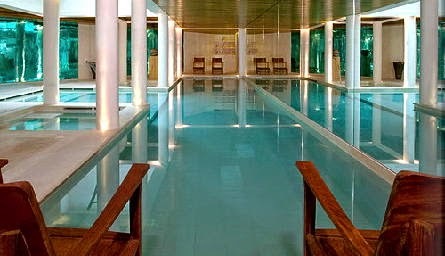 Other fantastic amenities include a hammam steam room, a beautiful pool, a well-equipped fitness center and ski in/ ski out access for an amazing stay. Classic ambiance in a fashionable setting guarantee that each guest has a spectacular stay. When booking your travel to Aman Le Mélézin across WhataHotel!, guests will fall in love with the Exclusive Complimentary Perks for a top-notch trip. These perks include a continental breakfast for two daily, a room category upgrade at time of check-in, a $100 hotel credit and options for an early check-in and late check-out. 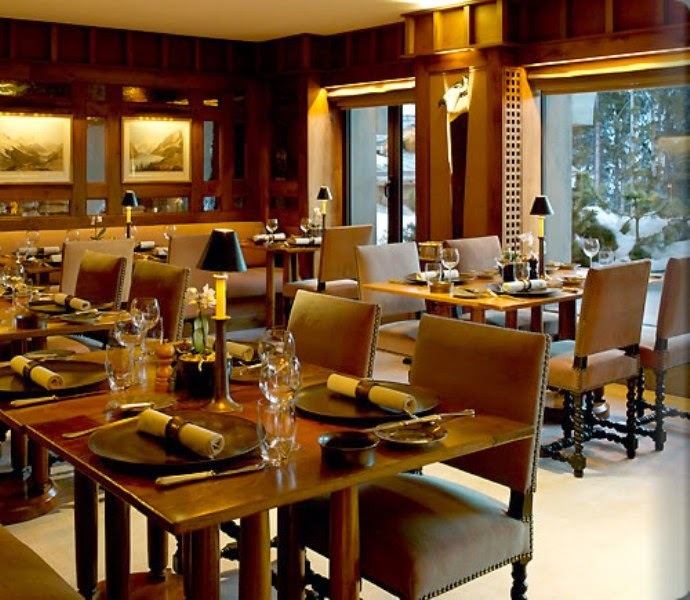 Get ready for the ski season in a place that is a true Winter Wonderland, Aman Le Mélézin.